These pictures were taken on 22 March, 2006 on Taksim Square in Istanbul. There is an information plaque beside the monument from which all the information here is taken. I have scrambled the text a bit to fit the photos, but I have left the somewhat awkward translation intact. 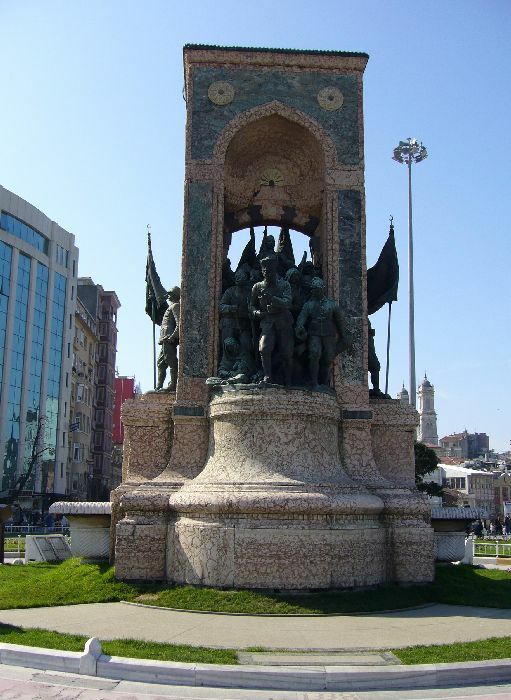 The plaque reads, "Republic Monument of Taksim was made by Italian sculptor Pietro Canonica (1869-1959). 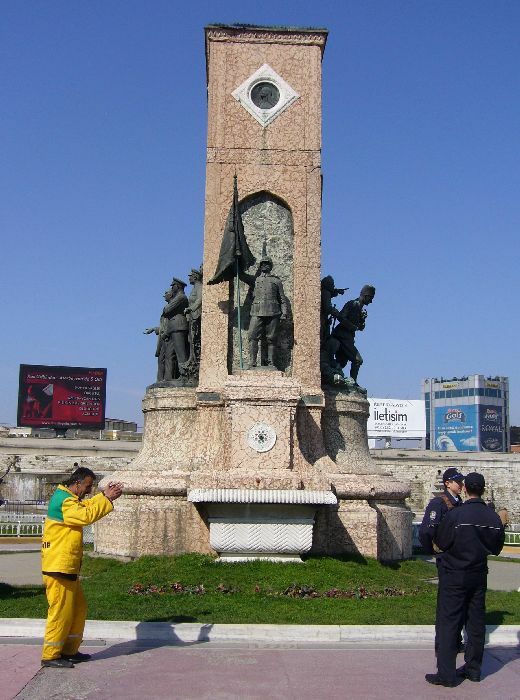 The pedestal and environmental arrangements of the monument, which was placed in its location in 1928, were realized by the architect Guillio Mongeri. Stone and bronze were used in the construction of the monument, which took 2.5 years, public assistance was requested for financial source, receipts were printed and donations were collected....Under each of these narrow facades of the monument, there is a mirror stone and marble troughs in the front. 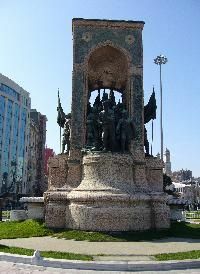 The artist had created a project that would remind a square fountain with water flowing into these troughs, but later, the water element was not used.. It was erected in 1928. 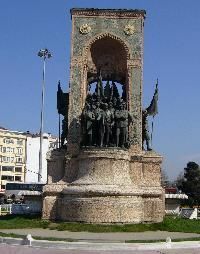 ...and on the other façade Mustafa Kemal is portrayed in his mufti, with Ismet Inonu, Fevzi Cakmak, soldiers and people beside him, thus the foundation of young Turkish Republic is described. 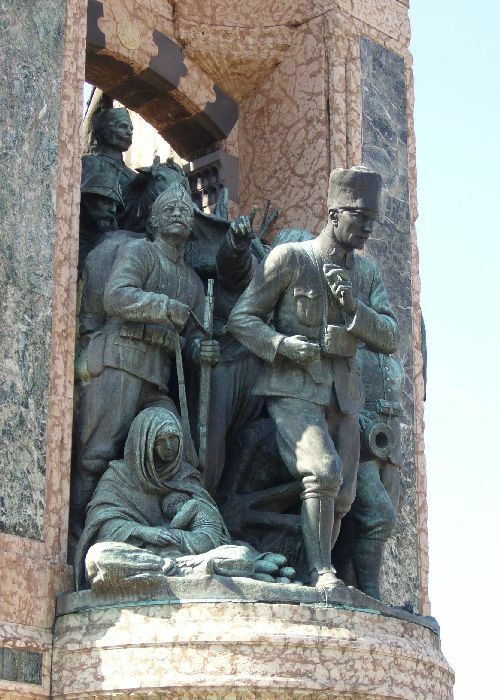 On other facades of the monument, there is a statue of a soldier and there are portraits of two women in the medals over them."